What Is Ascension & How Does It Work? Have you ever wondered how to ascend? Ascension in its simplest terms is altering consciousness from one level to another. In other words, ascension is the process of expanding beliefs that make up the base level of consciousness, to the point that a new reality is manifest. Consciousness is after all comprised of the beliefs, thoughts, actions, and choices that form the tapestry of reality. When consciousness expands, elevates, and changes, reality cannot help but change in response. Ascension is elevating consciousness into a new dimension of experience. Is there a difference between ascension and spiritual growth? Yes! 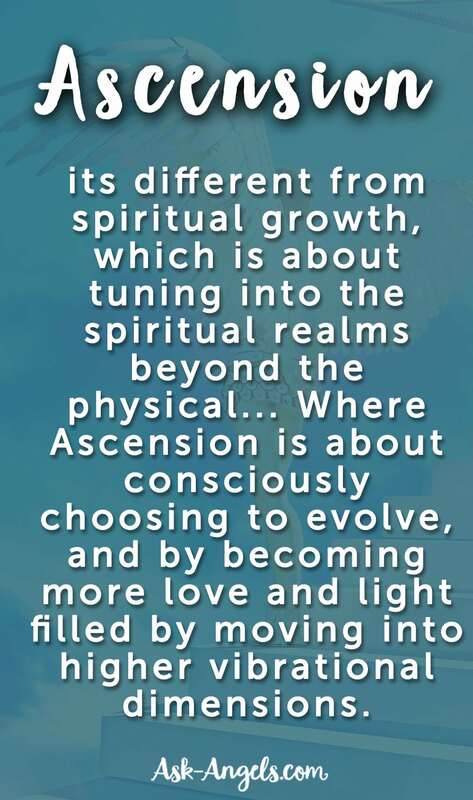 Ascension is different from spiritual growth, which is about tuning into the spiritual realms beyond the physical… Where Ascension is about consciously choosing to evolve, and by becoming more love and light filled by moving into higher vibrational dimensions. Ascension is the process of clearing and releasing the emotional blockages, thoughts, and beliefs that limit us from experiencing the fullness of supreme consciousness. By transmuting lower vibrational expressions like anger, judgement, guilt, shame, and greed into compassion, we are able to balance the dense and shadow parts of ourselves. We learn to appreciate and honor the role dense feelings, emotions, and even other people play in teaching us the lessons of duality. This awareness neutralizes the power of the dense, and empowers us to expand our individual base level of consciousness to a new height. By clearing that which blocks us from realizing the full extent of love, oneness, and compassion that is supreme consciousness, we become more present, more aware, and more loving and compassionate ourselves. When this inner shift happens, outer reality shifts as well to reflect and mirror the inner base consciousness change. Consciousness manifests across infinite multiple and parallel dimensions and when you shift your consciousness in the present (through beliefs, thoughts, and actions), a HUGE ripple of change and ascension mirrors out through everything. By clearing blockages, integrating fears, and aligning with a new level of joy, love, compassion, and oneness, a shift in consciousness happens… Ascension happens. For us each, mind, body, and spirit are interconnected, and so a change and action on one layer affects the others. And as we are all interconnected through supreme consciousness, a change I make in my consciousness, impacts yours and vice versa. In this way, the ascension of an individual creates a ripple effect triggering awakening, a shift in consciousness and ascension that reaches everyone and everything. This is where the tipping effect comes into play. As more and more individuals consciously ascend, and begin to create positive inner shifts that are mirrored in the physical… The ripple effect goes to work and begins awakens and trigger this shift in consciousness that is ascension for all. So just exactly “how” do you choose to ascend? Honestly there are multiple paths to ascending during this time of accelerated awakening in which we live. Some are simple, and some more advanced… But all lead in the direction of higher consciousness, and ascension of the mind, body and spirit. Open your heart and consciously return to the vibration of love. Choose love in every moment. Spend over half of your time lovingly serving and supporting others in a state that is free from judgement, expectation, and ego-based attachment. Respect, serve, and honor all life on Earth. Raise your vibration, purify your vessel and activate your DNA. Awaken your Lightbody and reconnect with the light and vibration of your higher self. Set the conscious intention to ascend. Choose your ascension and continue to take steps to raise your vibration, release fear, connect with the blissful field of unified Source consciousness. But just how does ascension really work? It is tipping the scale in your personal consciousness, to a level of increased light over dark. This increase in light and love shifts the base level of consciousness within you, and as mentioned above, the effects of this ripple out far and wide, spanning past, present, future, multi-dimensions, and is mirrored back to you by all of reality. You make the choice and set the intention to ascend. You become aware of the areas of your consciousness where fear is held and needs to be cleared. A lesson manifests in your life as your previously held beliefs, and fear energy comes forward to be released through experience. This may be emotional, it may manifest as physical pain energy, or may trigger an external event for you to learn from. You experience your life lesson in whatever form it takes, and move through the fear in whatever way it has manifest in your mind, body, or spirit. You learn the lesson, face your fear, and really feel the lower vibrational feelings associated and integrate the lower vibrational emotions that have manifest as a result. You integrate the lessons delivered from your past fear; you release it along with the corresponding vibrations of dense emotion that have come up for you to release. This release creates a void that you invite light into. This increase in light catapults you into experiencing the higher vibrational emotions like love, peace, gratitude, compassion and joy. You feel and experience increased light. This may manifest as tingling sensation, a feeling of a blanket of love, a heart opening, and a bliss-filled explosion of Divine light energy throughout your body, mind, spirit and continuing out far beyond. You forgive the other people tied to your past fear and lesson… You feel gratitude and compassion for their role, and honor their part as well as yours in the process. Gratitude, love and compassion create further expansion within your energy. Your physical body begins to shift from carbon-based to crystalline, allowing more light into your being. Implants, past patterns, and beliefs related to the lesson and fear are balanced and transformed. More of your DNA awakens and realigns with continued work. The level of light you are able to hold increases. You align with a new level of love, acceptance, and balance… Honoring and accepting the role of everything, light, dark, and otherwise. A new fear, or lesson is revealed. As you continue to move through these steps, you ascend through your experience as guided by your heart. Your fears are manifesting through your experiences as life lessons, and you are integrating densities, releasing blockages, and aligning with increased light as you continue to ascend. As more and more awaken, and progress through ascension, a new consciousness emerges… A new paradigm of life on earth is created within the old, and an ascended way of experiencing reality opens, allowing you to continue to lift higher. All of life is an ascension teacher and as your consciousness is raised, all experience and life is valued. A new level of harmony, synchronicity, and understanding unfolds as you move through the ascension process and actually shift, or ascend into a higher dimension of experience. 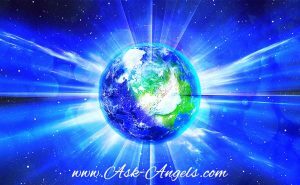 Check out my book Ascension Angel Messages! Learn more about What Is Ascension and the Ascension Path Anyway? It appears that when consciousness gets too big for the current reality, a threshold point is confronted…this in turn creates a process commonly called ‘ascension’ where now that consciousness expands into extended regions which humanoid perception defines as ‘realities’ and such. This helps to explain why not all registrations of consciousness ‘evolve’…at least not at this time. Oh my Word… just about EVERY step in your mechanics of ascension is playing out step for step in my life right now !!! Thank you for this.